rif picked me up from work last week and decided to have dinner nearby. I initially wanted to have dinner at Uptown Hawker but it was drizzling so we went to Du Viet instead. At 7.30pm, the place was EMPTY. The air-conditioning wasn’t switched on and the place was like a hot oven. Since we were already seated, I felt “shy” leaving the place. 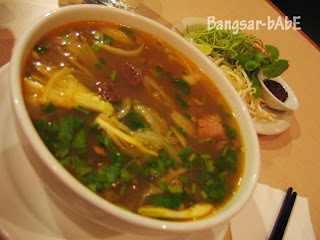 rif ordered the Pho Bo (beef noodles in clear soup) while I chose the Pho Bun Ho Hue (beef noodles in spicy soup). 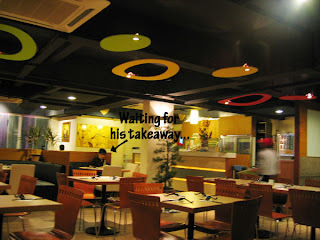 Our food took about 20 mins to arrive. rif’s Pho Bo was not bad. The beef broth was hearty but not overpowering, and the kuey teow had a silky smooth texture that glides down your throat. The beef slices were tender and cooked just right. I wasn’t happy with my order. For what they are charging, I expected something more impressive. Instead, there were only a few tiny slices of beef in reddish soup (note that reddish means red oil floating on top!). Heck, it wasn’t even spicy. Both the portions were rather small. 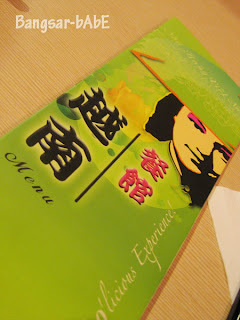 Overall, I thought the food was mediocre and definitely overpriced. If I do come back (only when I’m forced to), I would order the Pho Bo…and buy bread or “chap fan” later on since their portions are so small. Dinner cost RM 26.05 for two bowls of Pho and a glass of water. Price includes 5% tax and 10% service charge. Verdict: I will only go back there IF I’m not paying for it. Even so, I will order the Pho Bo.